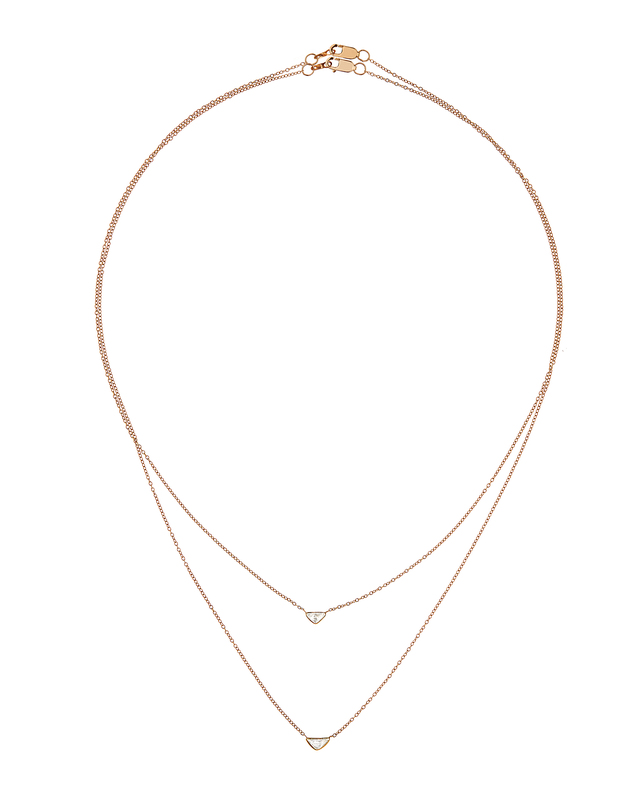 The traditional diamond pendant re-interpreted. 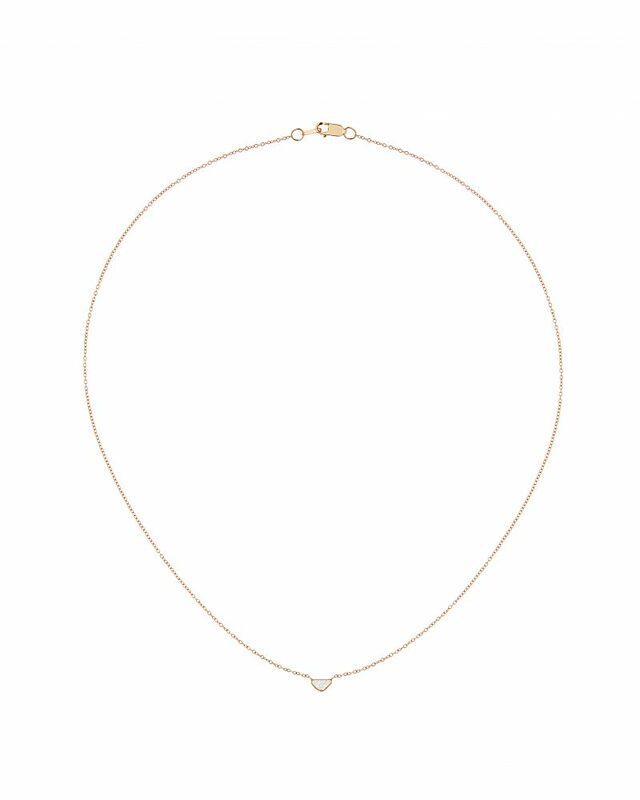 A single, responsibly sourced, rough cut diamond is wrapped in 18K yellow or 14k pink gold at the center of this necklace. Chain available in 16 or 18 inches. Each diamond measures 1/5 inch in length or more. Choose one of each for a layered look, as seen here. 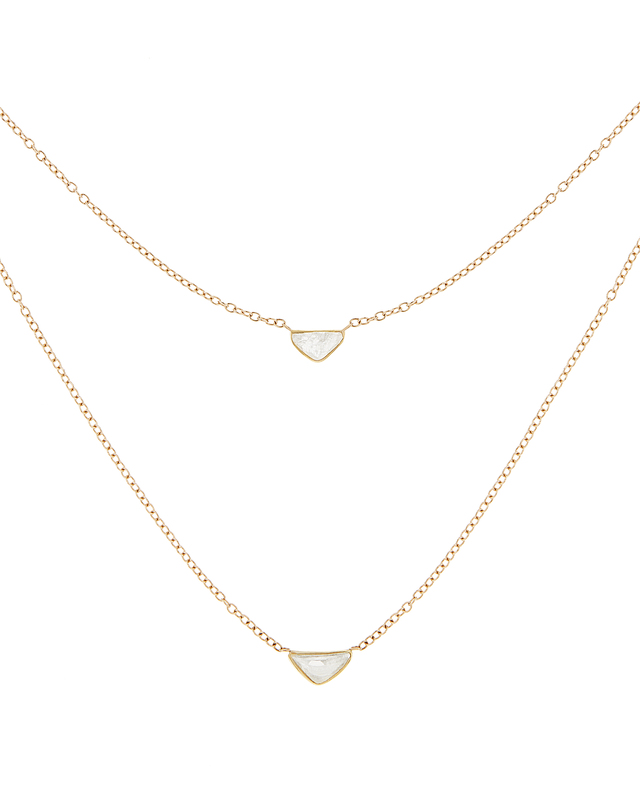 Price shown is for one necklace. Tags: #gold, #golddiamondnecklace, #goldnecklace, #lovegold, #Pink Collection, #roughcutdiamond, #roughcutdiamondnecklace.